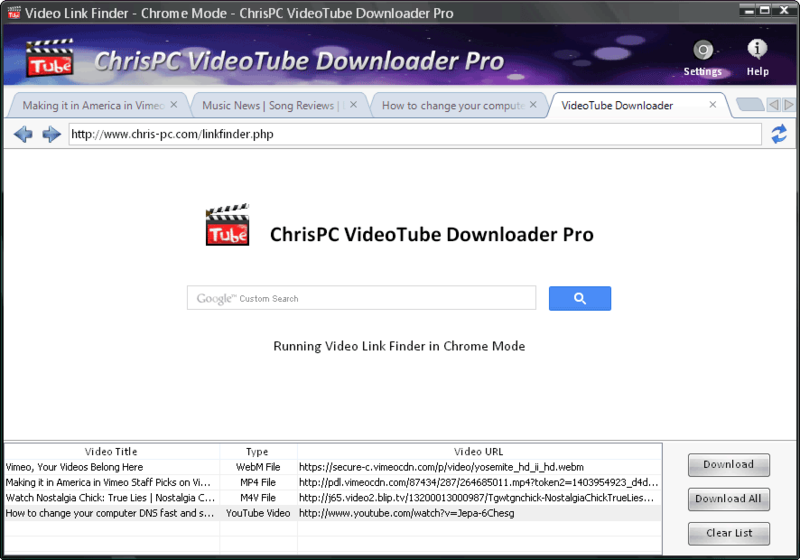 ChrisPC Free VideoTube Downloader is a powerful software with a friendly user interface that allows you to download videos and playlists from YouTube, videos from Dailymotion, Prosieben, BBC iPlayer, ITV Player, ABC, FOX, CBS.com, Vimeo, Veoh, MyVideo.de, Flickr, Metacafe, ulive.com, Blip.tv, LiveLeak, Break, CBC.ca, SBS.com,au, TENPlay, 9Jumpin, Adult sites and many more video websites. 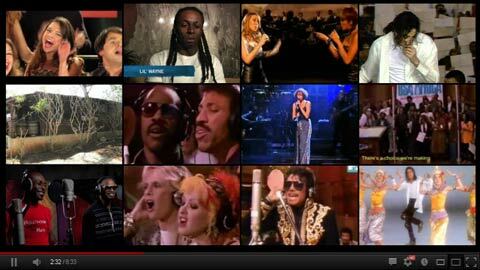 Once the videos are downloaded, you can convert them to formats compatible with iPad, iPhone, iPod, MPEG-4 H.264, MP3, AC3. Video Link Finder detects popular streaming protocols like RTMP, HDS (HTTP Dynamic Streaming - F4M), HLS (HTTP Live Streaming - M3U8) and VOD files (Video-On-Demand files like MP4, MP3, FLV, AAC etc). Download and convert unlimited number of videos from YouTube, Prosieben.de, CBS.com, ABC, FOX, ulive.com, VK.com, Dailymotion, Vimeo, Veoh, Metacafe, Blip.tv, LiveLeak, Break, Trilulilu, CommedyCentral.com, Spike.com, SouthParkStudios.com, MTV.com, VH1.com, TheDailyShow.com, ColbertNation.com, Adult sites and many more video websites. Download high quality videos from YouTube.com, MyVideo.de, ABC, FOX, CBS, NBC, Syfy, PLUS7 Catch up TV, BBC iPlayer, ITV Player, ABC iView, Pluzz France TV, ZDF, PRO7, RTL, SAT1, Kabel1, SuperRTL and more.